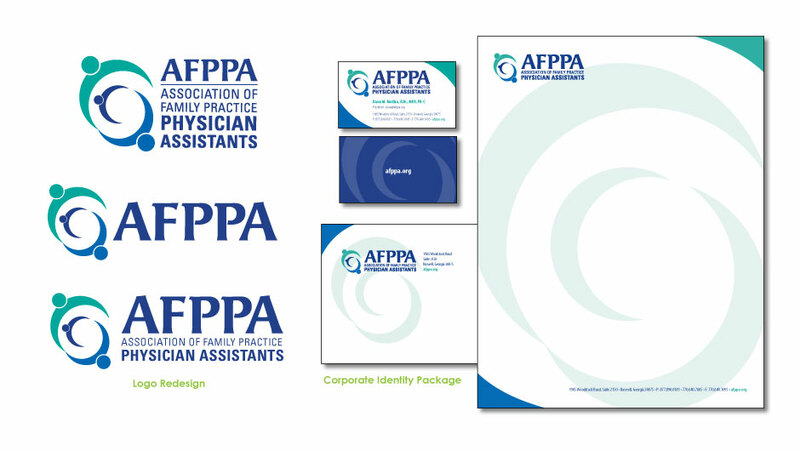 In October 2008, the Association of Family Practice Physician Assistants launched a strategic initiative to help better identify AFPPA as a leader in primary healthcare and an indispensable resource within the PA profession. 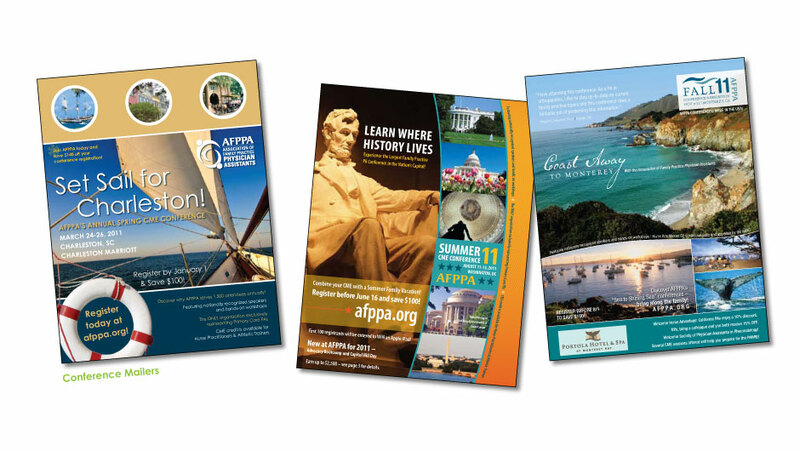 Goals included a redesign of the association’s 11-year-old logo and website, and expansion of public awareness and media outreach. 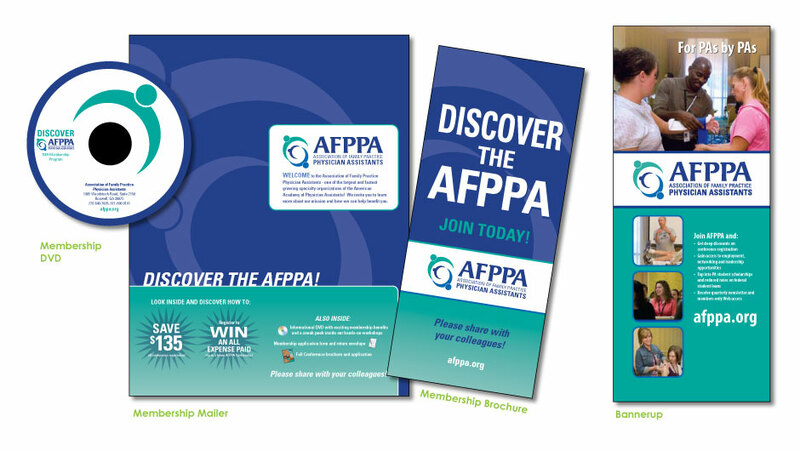 In addition, AFPPA expanded their education program by offering a third “regional” conference, to help meet the medical education needs of primary care PAs and NPs (Nurse Practitioners), particularly in the northeast. By mid-September 2009, membership numbers were 21% higher than the same time the previous year and fall conference registration had already exceeded the previous year’s final numbers (with almost two months to go in the registration process). 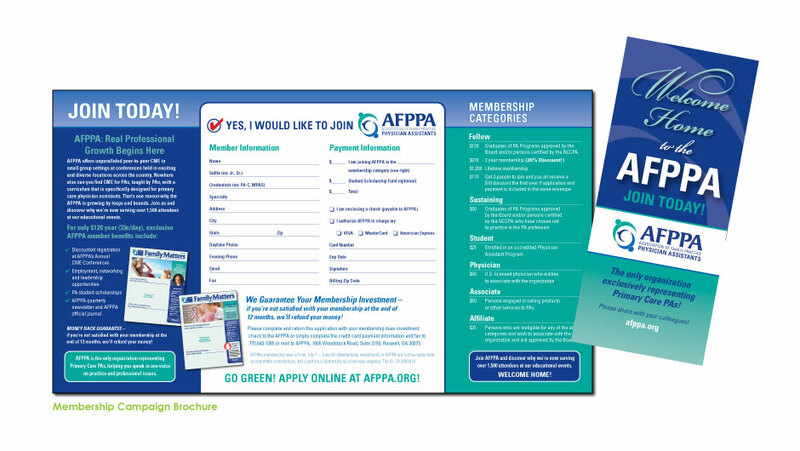 A survey of PAs who received recruitment materials indicated all had viewed the DVD (based on 100% correct answers to questions about the DVD) and that more than 80% were currently or considering AFPPA membership. 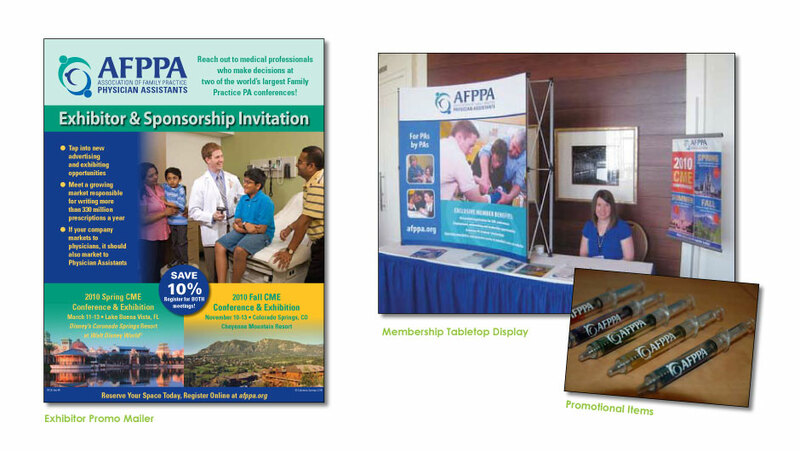 About 50% of respondents indicated they had never attended an AFPPA conference and that same number indicated they were considering attending the upcoming conference. Within weeks of the “regional” conference kickoff, the new event was rivaling the Association’s Annual Spring Conference in both registration numbers and geographic diversity. Conference registration exceeded the previous year’s final by 36%. In addition, web visits grew 64% – 15 percent of the traffic came from the email campaign. 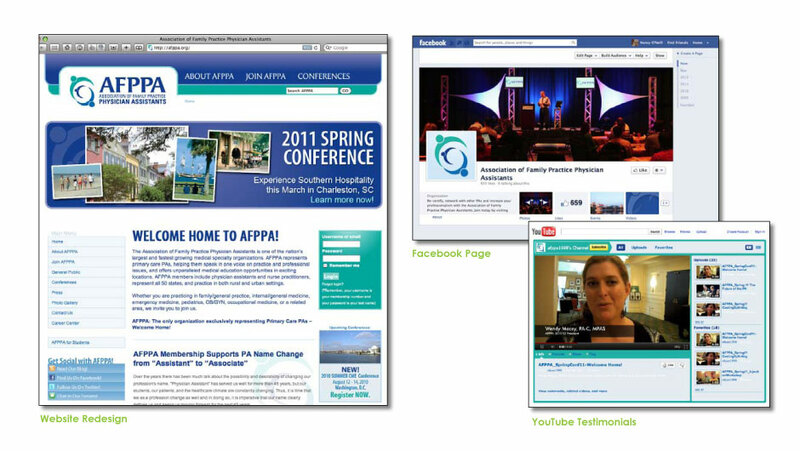 All of the Google keywords that lead people to the site showed remarkable growth (afppa – 100.56%, afppa.org – 307%) – evidence that they were responding to promotional materials. 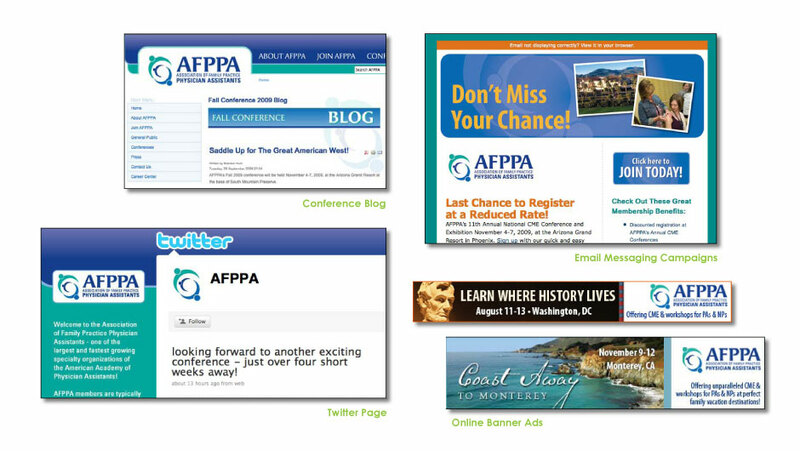 It is estimated that more than 90% of those who joined AFPPA during the month of August did so online.